BS 8612 – A better future for all? Keith Plummer of ubbink explores the impact recent standards have on dry fix roofing, discussing the benefits that they have brought to projects. British Standards launched BS 8612: Dry-Fixed Ridge, Hip and Verge Systems in order to raise and control manufacturing quality levels. This implementation has already seen some products being redeveloped and improved by manufacturers to comply with the new standards and tests. The industry must carry the responsibility to ensure all manufacturers produce quality products. In return, specifiers select quality products, merchants supply quality products, contractors fit quality products, and house owners can be assured their roof complies and will function correctly. The time is well overdue where legislation and performance must stand up and be counted. British Standard BS 5250: Control of Condensation in Building, and BS 5534: Slating and Tiling, have been in place for years to ensure that professional and consistent building conditions are adhered to. BS 5534 was last reviewed and updated four years ago, after the industry and experts deemed mortar bedding for ridge and hip less trustworthy, with a shorter lifespan than newer technologies. In turn, BS 5534 was revised stating that all ridge and hip tiles had to be mechanically fixed even when mortar had been used to improve the fix. BS 5250 and BS 5534:2014 were very clear on how and where the products needed to be installed to meet the requirements, however what wasn’t available was a British Standard to test the products and their durability. With more harsh and adverse weather conditions hitting the UK each year, some systems were failing, which resulted in delays on sites, as well as builders having to revisit a site to fix systems that had become loose or totally disengaged due to the high winds and snow loads. 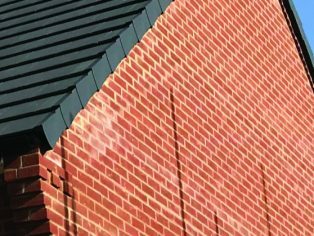 Over the last few years in particular, dry verge systems have become increasingly popular as they allow not only for additional securing points for the roof tiles, but replace the need for mortar, meeting current regulations. But now, with the increase of products in the market, it has become more and more difficult to specify a durable system, as often the products look alike with similar features, but have hidden compromises to reduce cost. Early examples of dry verge systems had inherited well-known and common issues such as poor quality raw material being used, resulting in units warping (PVC is a non-starter and polypropylene without certain additives will not perform) and just not being resilient enough. Units being secured either to the end of an extended cut tile batten or directly to the barge board, would result in a less secure fix (the introduction of a face fixing batten bracket is a key point, and improves the fix dramatically). If there was no barge board for the starter unit to be installed to, the contractor would be forced to come up with other ways of securing the eaves unit, one such way being with the use of wire threaded through the unit and secured to a nail or screw to the fascia board. Once the system was installed, these issues were not always clearly visible, and so were ‘out of sight out of mind’ until the bad weather hit, and failings became more obvious problems for contractors, specifiers and housebuilders. The most common visible issue that did stand out was the allowance of rain water to either drip or run down the gable wall of the property, leaving an unsightly staining. 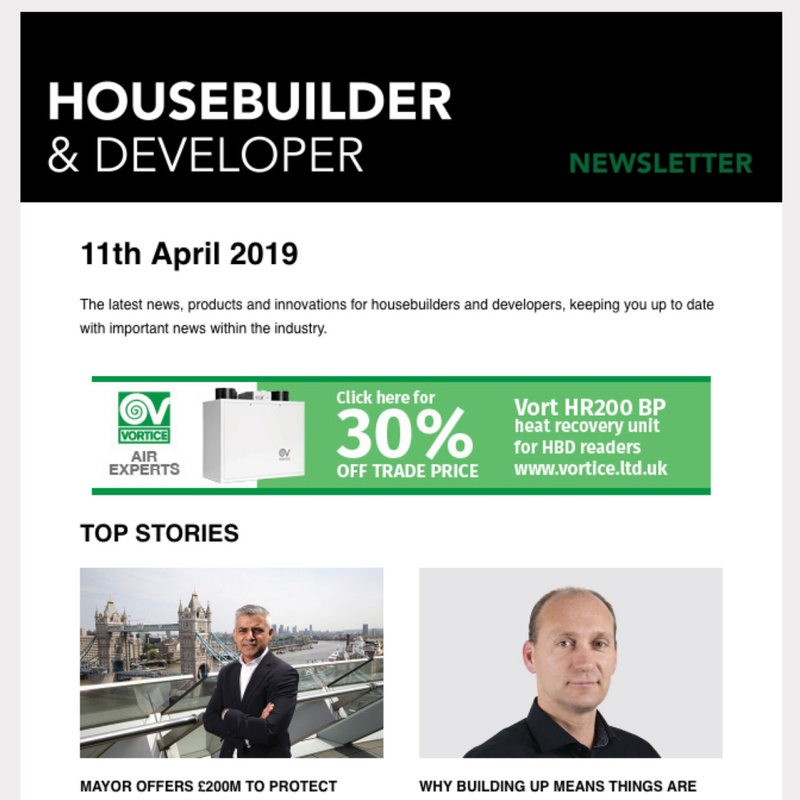 Industry experts soon realised that the increase in verge products on the market without any standard was proving difficult for specifiers and housebuilders, unable to know if they were selecting a trustworthy quality system with longevity. This is where the start of BS 8612 came into fruition, with all the common factors of dry-fix installs being discussed, and how these should and could be overcome to improve current builds. 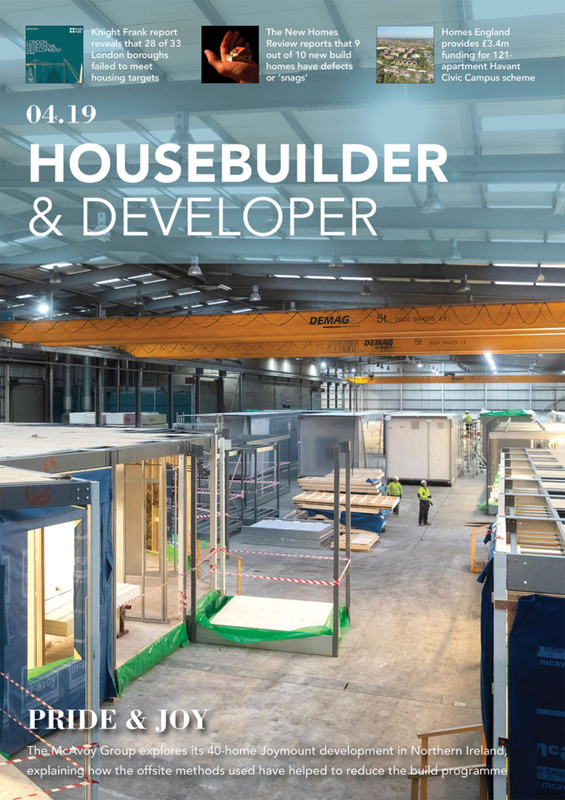 This gives all parties involved in the selection process, from contractors to end users, the confidence that what is being used on a project is up to a level of expectation, and not a weak alternative. 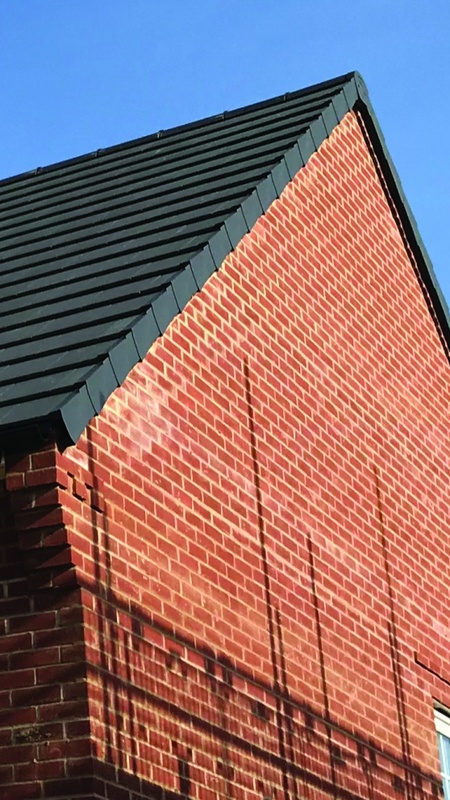 The new British Standard BS 8612 is set out to ensure that dry fix roofing products pass the physical demands like vertical load for wind uplift, and rain drainage, as well as an accelerated colour fast test for aesthetics. The full independent range of tests are carried out by the experts at the Building Research Establishment (BRE) in Watford, although some larger companies may have the facilities to run their own. Tests are calibrated to indicate which of the products can be installed within the correct wind zones, as long as the full system has been used and installed as per the manufacturer’s instructions. when installing onto new build projects. This new standard may not be a legal requirement, but the National House Building Council (NHBC) and the Local Authority Building Control (LABC) will enforce this change. Hopefully the new testing procedures will give a greater confidence in the products to specifiers, installers and developers, providing them with the knowledge that if standards are met and manufacturer’s instructions are followed, then there should not be a need for a return to make a repair.